Sometimes the small things such as who buys the milk and who puts the furniture back after an event can become big issues for teams. This is particularly the case for teams who work for different services and use the same building at different times of the day. 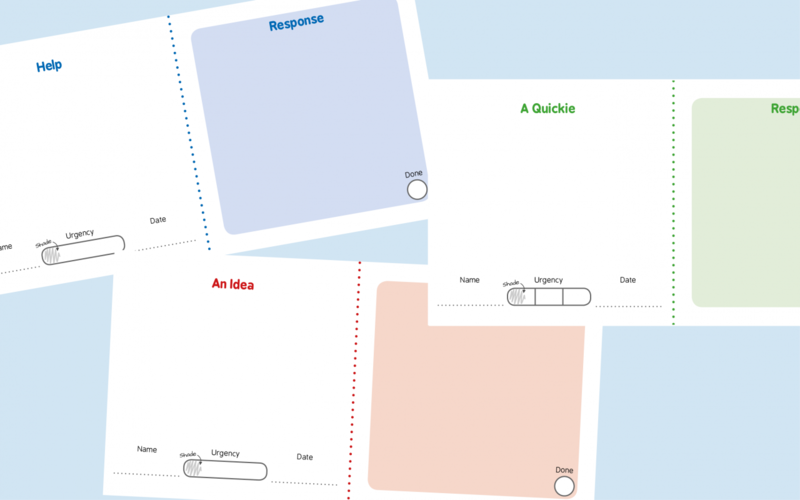 This tool helps by offering a fun and friendly way for staff team members to prompt, provoke, ask questions and obtain feedback from each other. This tool was co-​designed by Lancashire County Council professionals.